The Florida State University's Department of History has established The Institute on World War II and the Human Experience to systematically and professionally preserve the artifacts, official histories and personal accounts of those who gallantly served their country. Visit their site and learn how you can help! 1. 461st Bomb Group - 15th Air Force B-24 Liberators Web Page This is a truly fine site for anyone interested in the 15th AAF in Italy. Mission information, 461st BG history, nose art, crew photos and much more. 2. www.armyairforces.com A terrific resource. A wealth of information. 3. T/Sgt. Bill Neutzling, Radio Operator, waist gunner on 1st Lt. Robert L. Boone's crew, 15th AAF, 484 Bomb Group (H) 825 Bomb Squadron (H) 49th Wing, Cerignola (Torretta) Italy. 5. Ian Brown's fine tribute to the prisoners of Stalag 18A, among those prisoners, his father. can fly in the real thing! links related to the B-24. 6. Zeno's Warbird Video Drive-In B-24 training films and more. 8. EarthStation1: The WW1 I Sounds & Pictures Page Actual broadcasts of Axis Sally and Tokyo Rose as well as many fine photos. 9. The History of Flight The is a fascinating look at the development of flight. Chapters include Early History of Flight, Wright Brothers, Amelia Earhart, and Charles Lindbergh. Special thanks to Lauren and Joan for bringing this to my attention. I do not know who complied this site, but well done. Note: Older, or out of print volumes might be located through BookFinder.com. like for the airmen and a fine tribute to the boys. Publishers and Wholesalers - Warbird Tech Series. Lots of technical info and schematics. 11. B-24 Liberator 1939-45 by Martin W. Bowman, c. 1979 and 1989 by Patrick Stevens Limited, England. call the author: 800-754-6830 Access Code 30.
best sources for Liberator photos I have seen. of Naval Operations, U.S. Navy in collaboration with Army Air Forces. The aircrewman's gunnery textbook. 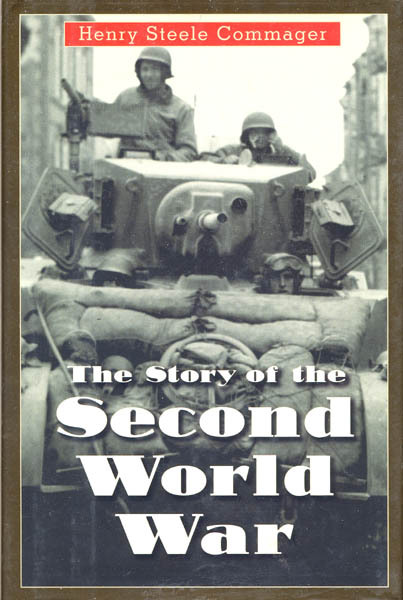 While not specifically related to the air war, The Story of the Second World War is the most riveting account of the War I have read. It was first published in 1945 and contains first hand accounts by the people who actually took part. You can find a copy on Bookfinder.com, and Barnes and Noble carries the paperback. Highly recommended. and you would like a link graphic, you can right-click the above image and save it.